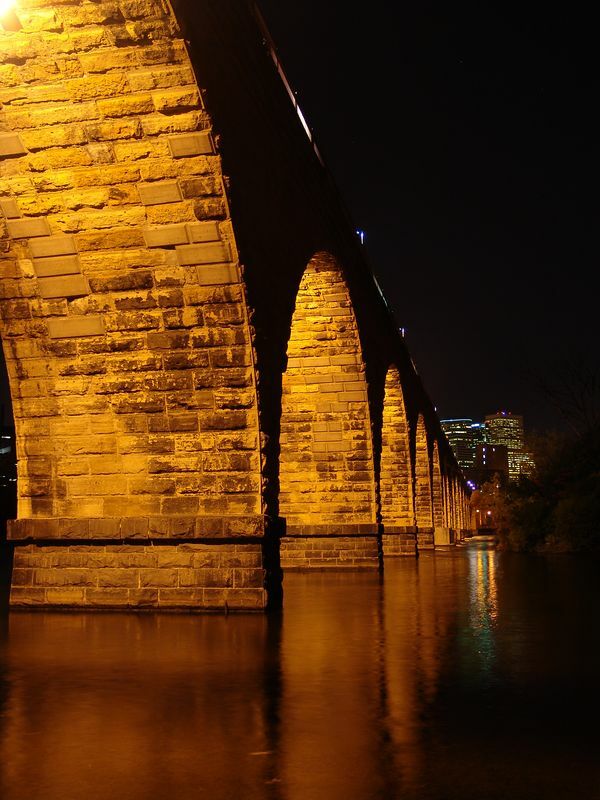 The Stone Arch Bridge is hands down the most unique structure to span the Mississippi River. 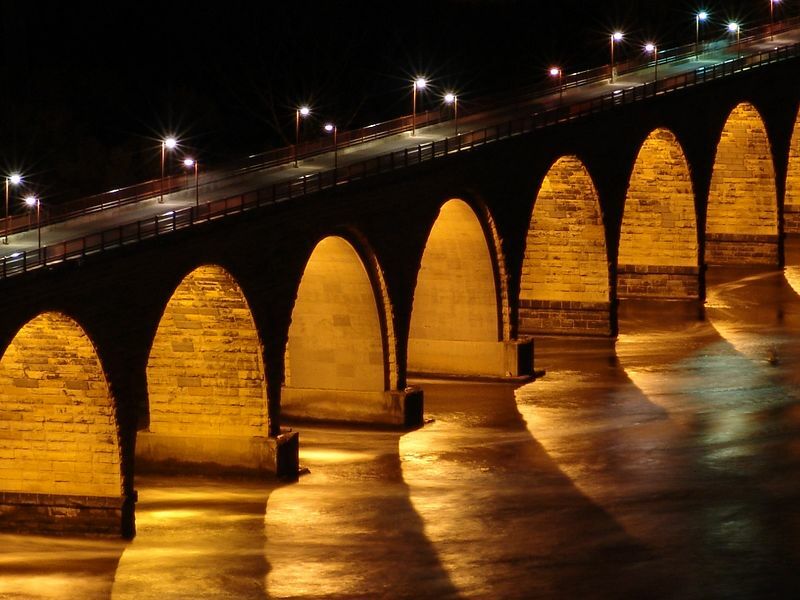 The bridge was constructed in 1883 at the cost of $650,000. It's made of limestone and granite, and is 2,176 feet in length and 28 feet wide. 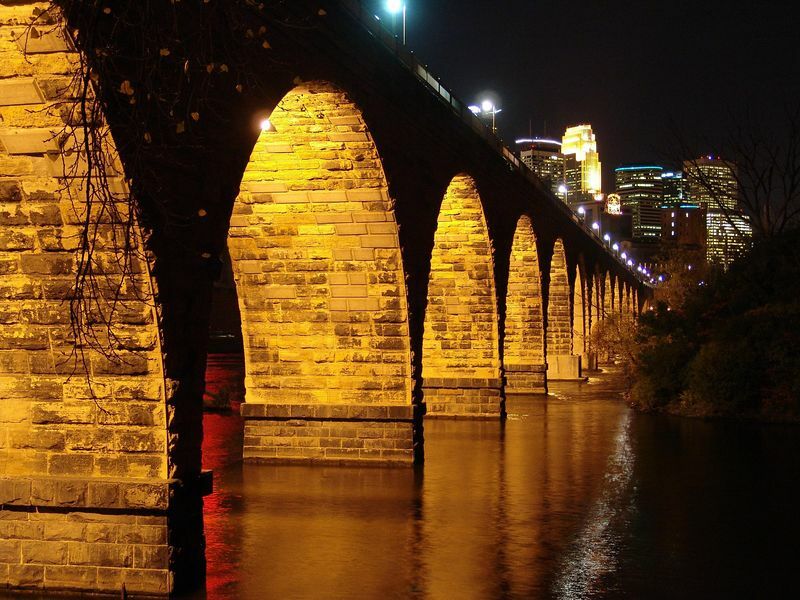 The bridge consists of 21 arches, and in located just below St. Anthony Falls in Minneapolis, MN. 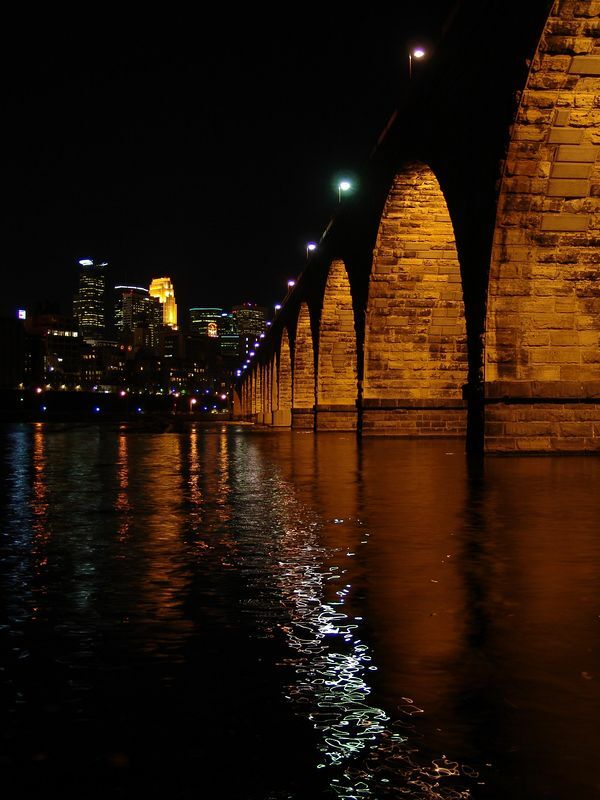 In years past, this Minneapolis landmark use to fade into the darkness of the setting sun. 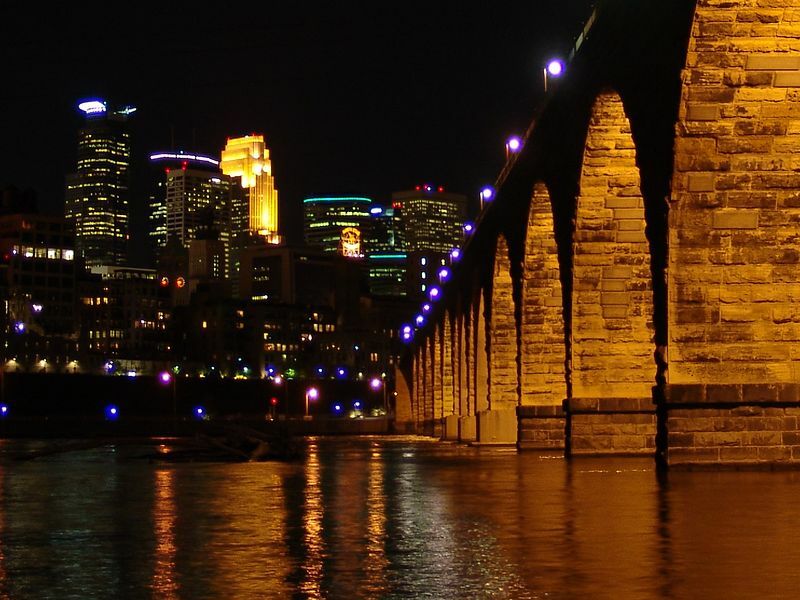 However, on October 17, 2005 all that changed thanks to the efforts of the Friends of the Minneapolis Riverfront. 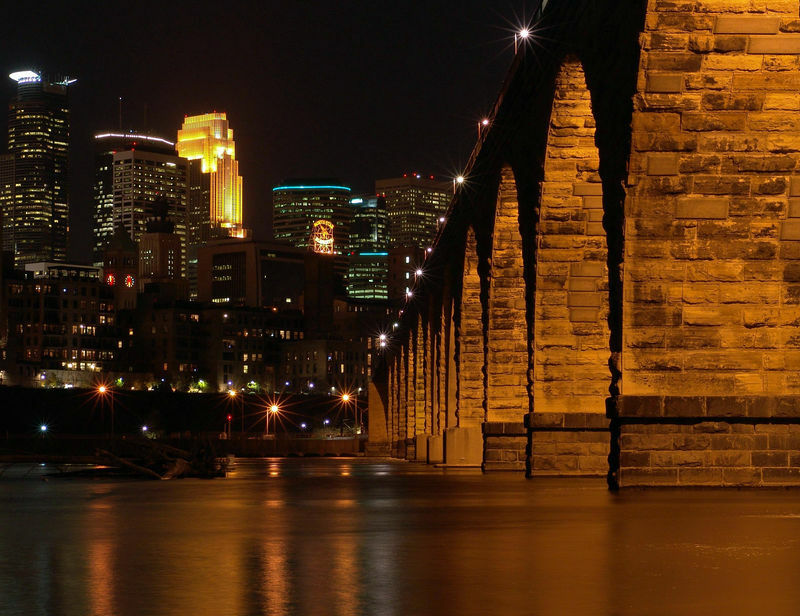 Now, 12 of the bridges 21 arches are lit up at night adding to the beauty of the Mississippi River and the Minneapolis riverfront.